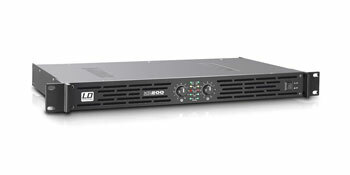 LD Systems XS series amplifiers have been designed for small to medium live or installed environments. 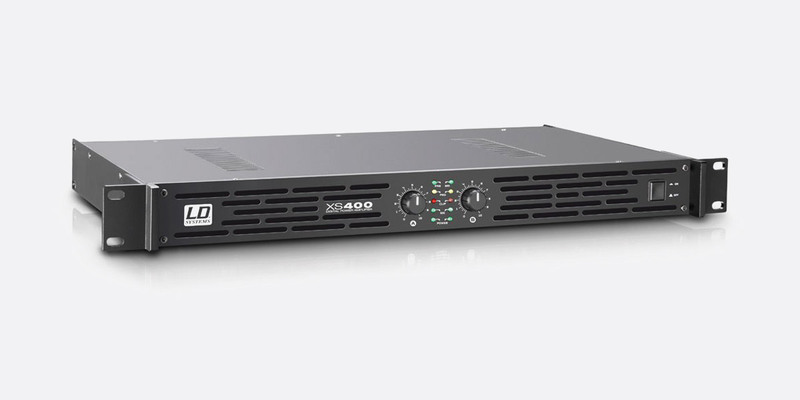 With 1U rackmount forms these Class D amplifiers also offer bridged, stereo, and parallel modes along with soft start, short circuit temperature and DC protection. These two-channel amplifiers have input options of single balanced 3-pin XLR, balanced 6.3mm jack, or unbalanced RCA phono per channel. Outputs for channel A and B are by way of Speakon compatible connector or binding posts. Soft start, short circuit, DC, temperature and over current protection is standard on all models. Cooling is standard on XS series amplifiers with the XS 200 utilising a standard convection model, with the XS 400 and XS 700 using a low noise fan. The rear facing panel hosts all I/O connectivity along with mains AC input via IEC connector, air vent, and switching. AC power is switchable between 115V and 230V. 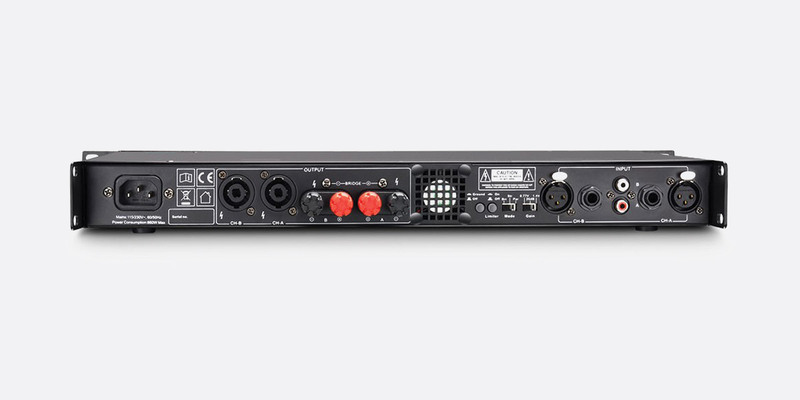 Available switches include ground lift, limiter, mode switch to select between stereo, parallel mode, or bridged mode; and an input gain adjustment that allows the engineer to adjust the input sensitivity of the amplifier. 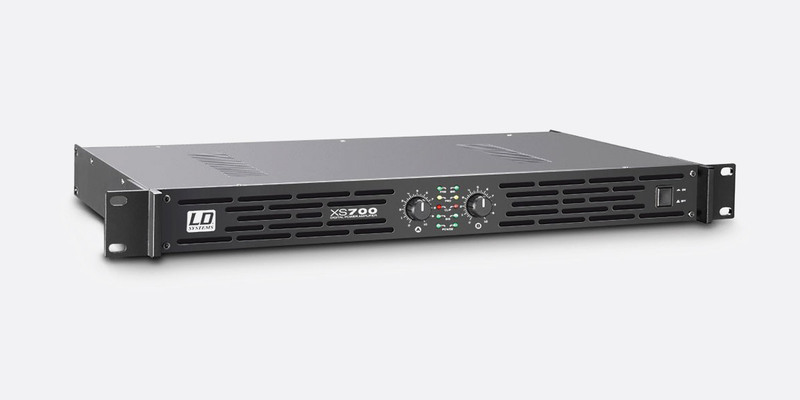 A voltage gain of 26dB is preset to the middle position of the input gain switch on all XS series amplifiers. 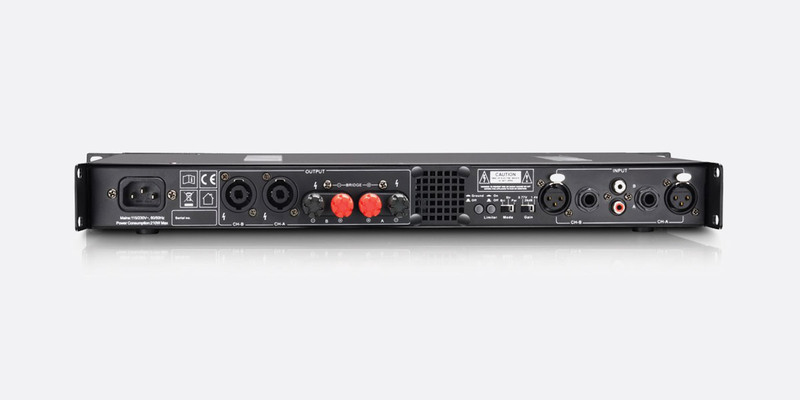 The front panel of the amplifier features input vents for cooling, along with latching power switch and rotary input gain controls. Alongside the input gain controls are green LED status lights to show power, signal sensed, parallel mode, and bridged mode, with red LEDs to warn of clipping and yellow LEDs to show when amp protection is engaged.